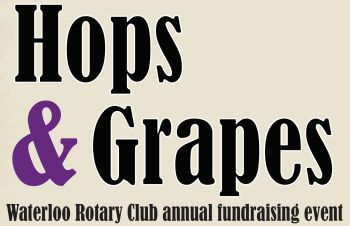 Hops and Grapes is going to be on September 26 from 6-9 PM at The Isle! Save the date!!!! More details to follow. The first step on our planning process will be to nominate your favorite Nonprofit to receive funding from the Event. Once we have the nominations the Club will vote for the 2 non-profit organizations we would like to receive a portion of the proceeds from our event. 50% - will go to Rotary projects (to be determined) 50% will be split by two nonprofits the club chooses through voting. Qualifications: A 501c3 organization that is either 1. A member of the Rotary club or 2. Has a Rotarian that is a board member. Process: to nominate a non-profit (or your non-profit) please write a short description, not more than a paragraph, describing the organization and its impact. It’s like an elevator pitch for the organization. Please be concise, as we will likely have several to choose from. Nomination forms will be available at our Club meetings on Monday April 22nd and 29th. Once we have accumulated the nominations, we will put together a survey for Rotarians to choose their 2 favorites from the list! It’s that simple!